Hopeless Records is excited to announce that they have partnered with The Used and their label, Anger Music Group to release their highly anticipated follow up to 2009’s Artwork. Listen to brand new single “I Come Alive” Here from their new album ‘Vulnerable ‘ out March 27th and the single for purchase on iTunes January 17th! 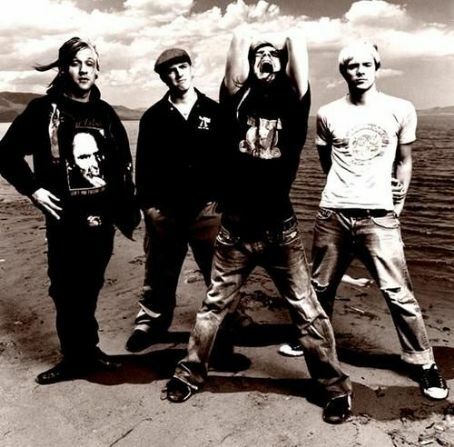 Forming in 2001 and hailing from Orem, Utah, The Used have released four studio albums: The Used, In Love And Death, Lies for the Liars and Artwork. Their self-titled debut, In Love And Death and Lies for the Liars have all been certified Gold by the RIAA. The band has performed on the Vans Warped Tour, Taste Of Chaos, Ozzfest and Projekt Revolution and have toured with bands such as Atreyu, Chiodos, Box Car Racer, Three Days Grace, Glassjaw, Green Day and Andrew WK.